We all love our pets, but that love can become tested when they leave their hair around the home. Removing pet hair from carpets, furniture, and clothes can be time-consuming and unending. It wouldn’t be the first time you would find me on my knees with a roll of sticky tape trying to get dog hairs off the sofa. Combing the couch inch by inch, hoping upon hope, that I managed to get every last one. There’s nothing you can do to stop dogs, cats, and pet rabbits for that matter, from shedding their fur. It’s all part of the natural process of cell regeneration. It doesn’t matter if you have a house pet, or one that gets to run around outdoors most of its life, your dog or cat will always shed hair. However, scientists have discovered there are some things that are proven to promote the shedding of fur. Most notably is sunlight. The natural growth pattern for an animal’s fur goes through an annual cycle, wherein the winter months when there is less light around, your pet is less likely to shed hair. However, once the spring arrives and there is more sunlight, then the process of regeneration gets a kick start, and your dog or cat will molt. 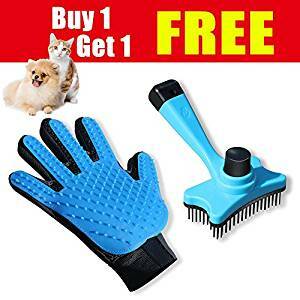 There is no way you can stop a cat or dog from shedding hairs, but you can try and minimize the quantity of hair, or intercept it before your best friend leaves it around the house. Brushing your pet every two or three days can cut down on the amount of hair left of the furniture and carpets dramatically. If your dog or cat does not particularly like the feeling of a brush, then you use a fabric conditioner sheet as you stroke your pet. The sheet will attract any loose hairs before they get stuck on your furniture or clothes. You can always carefully vacuum your dog or cat. This might sound a bit over the top, but if you put an old stocking over the end of the vacuum hose, and gently rub it over the skin of the animal. It can pull out a lot of loose hair clogged in the fur. Of course, this will only work with animals that are not going to be traumatized by the experience. If your pet is losing more hair than usual, it can be often be put down to a dietary problem, so make sure they are eating a balanced diet, and if the problem persists consult a veterinarian. You can always start with a good vacuuming with the upholstery attachment that comes with your machine. 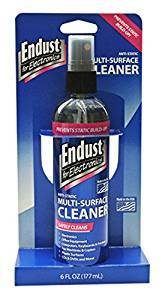 This should get the majority of surface hairs off any piece of furniture. However, if it does not get them all off, you can then go to the next step. Use a rubber glove, the type you may wear for washing up, and with it slightly dampened run it over the surface of the furniture fabric. Rubbing the glove over the surface makes the rubber surface attract the hair, and it will stick to the glove. The dampness helps with making sure the area you are dealing with is having enough humidity to break the static electricity, the attraction between the pet hair and the furniture fabric. A wet sponge can also do the trick. Once your glove is covered with hair, remove and rinse, and then start the process again. Prepare a spray bottle with water and a little fabric conditioner. Spray the mixture on the furniture affected, and then wipe clean with soft cloth. The water will increase the humidity, and the fabric softener has the effect of reducing the static electricity bond between the pet hair and the upholstery. If you have pet hair on wooden, metal or glass furniture, it can be easily removed with a soft polishing cloth. A quick application of an anti-static dust spray or furniture polish should be enough to eliminate the charge attracting the pet hairs. Any fur on the furniture can be easily removed, and is unlikely to be attracted for a while, so the piece should remain pet hair free for some time. Carpets attract pet hair in the same way as upholstery fabrics, so you can try any of the methods described earlier. However, there are some other tricks you can use. 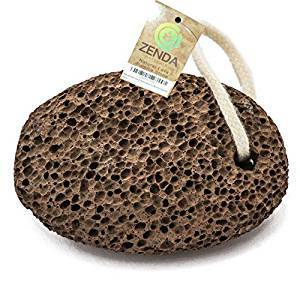 The pumice stone you keep in the bathroom can do more than get rid of rough, dry skin, it can also work at getting pet hair out of carpets. If you gently rub the pumice stone over the surface of the carpet, the stone will clump the hair strands together, making them easier to remove. Once you have the majority of the pet hairs removed you can. Vacuum the carpet with the strongest suction your machine allows. Go over all the affected areas in at least two directions to loosen up any pet hairs that might have been caught deep in the carpet’s pile. However, do not use a vacuum on a hardwood or laminate floor, as vacuums tend to just blow the hair around rather than sucking it up. For these types of floors its best to use a microfiber or electrostatic dry mop. These will attract the hairs and clump them together for easy disposal. Our pets love to be friendly, and we like it too, but it can lead to an unsightly mess of hair left on a jumper or blouse. If there are just a few hairs, and they are not embedded deep into the fabric, then use a lint roller. These rollers are cheap to buy and have a sticky surface that is enough to pick up most hairs from cloth. If you don’t have a lint roller, you can use packing tape wrapped around your hand with the stick side outwards as a makeshift device. Once it is covered with pet hair, you can dump it in the garbage, and make yourself another. If you have a little time, then you can remove the article of clothing, and pop it in the dryer along with a dryer sheet for about ten minutes. The heat and movement will loosen the hairs, allowing them to stick to the dryer sheet. There are a number of regular things you can do to stay ahead of the pet hair problem in your home. ✓ As most of the pet hair that gets on your clothes come from the upholstery, then you should vacuum as often as possible. ✓ Wash any bedding your pets use often. Keep the pet bedding separately, and run an extra rinse cycle to ensure your washer is free of pet hair. Always check the machine after washing your pet’s bedding. If the drum has traces of pet hair, run a clean cycle so that it won’t contaminate your next load of laundry. ✓ If you use a dryer after washing your pet’s bedding, then clean the lint-filter mid-cycle. If you do this, it will allow the filter to collect more pet hairs from the bedding being dried. ✓ If you have clothes or personal bedding covered in hair from your pet, then put them in a dryer and use no-heat cycle before washing. The tumble dryer will loosen the hair, and a lot of the offending fur will get stuck in the lint trap. ✓ When washing clothes with a lot of pet hair on them, add ½ cup of white distilled vinegar to the rinse cycle. The vinegar acts on the fibers of the fabric allowing them to free the pet hair during the washing process. ✓ Don’t overfill your washing machine with clothes covered with pet hairs. Leave lots of room for the water to circulate around the clothes and bedding. This means the strands will get flushed away with the wastewater. ✓ Using a tumble dryer is more effective at removing pet hair from clothes and bedding than simple air drying.